The Ralph Site was created to help anyone who has lost a beloved pet to cope with their bereavement but have you ever thought about what would happen to your pet if you were to pass away before them? Sadly, it does happen. 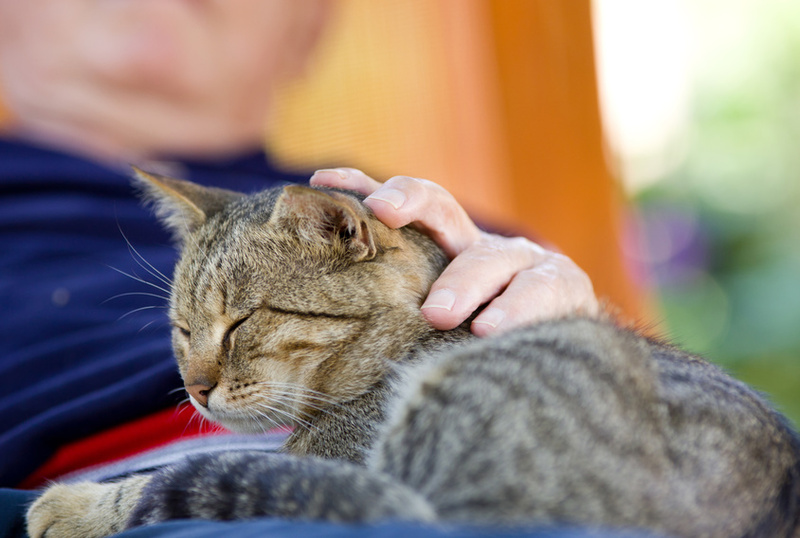 Many older people enjoy the wonderful companionship that a pet can offer but may find themselves having to move into long-term care later in life or even pass away without making provisions for their furry, feathered or scaly friends. And it’s not just older people who die and leave their precious pets behind. Accident or illness can hit any of us when we least expect it. Whatever stage you’re at in life, if you have one or more pets then – just as with children - it’s important to put steps in place to safeguard their wellbeing if you were no longer here to care for them. None of us want to think about dying but, hopefully, it will give you peace of mind to know that your pets will be well cared for until the end of their natural lives, even if you can’t be there to see it. The alternative is too sad to consider. So, what can you do to protect your pets’ future without you? The first step to provide for your pets in the event of your death is to identify whether you have any friends or family members who would be happy to take on their care if you weren’t here anymore. It’s important to have a heartfelt conversation with potential caregivers about each of your pets. Talk to them about their daily routine, their likes and dislikes, what it takes to care for them properly, any medical needs and their average lifespan. Would they be willing to take on your pets if you were to suddenly pass away? Do they fully understand the potential costs and commitment? Your pet may be in the prime of life right now but you should speak to your friends and family about whether they’d still be enthusiastic about stepping in as a caregiver if it meant looking after an old and infirm animal a few years from now. Even if you have a wonderfully reliable caregiver in mind, we’d always recommend naming someone as a backup too, simply because people’s circumstances can change over time. Try to keep in touch with potential caregivers to regularly review the situation and ensure that they’re still happy to step in for your pets. If you live alone, it’s a good idea to give these trusted friends a copy of your house key and each other’s contact details, in case someone needs to get to your pets urgently. We’d also recommend popping details of your pets and emergency caregivers on a card in your purse or wallet. But what if you can’t find anyone who would be prepared to fill the void for your pet if you were to pass away? There are several charities that promise to care for bereaved pets for the rest of their natural lives. These services are usually available without charge, but many people decide to leave a bequest to the charity of their choice in their Will as a thank you – this isn’t mandatory though. You might find it helpful to arrange a visit to any charities you’re considering to care for your pets so that you can see what life would be like for them in a care centre if they can’t get rehomed or even meet with people who have successfully adopted a bereaved pet. Home for Life is a free service run by the RSPCA. They promise to make every effort to rehome your pets or, otherwise, place them in a suitable animal centre where they will be cared for throughout their life. If you have several pets that you would like homed together, Home for Life will do their best to honour this, although they can’t guarantee it. You can register your pets with Home for Life at any time but will need to submit a new application form for each animal. You’ll then be sent Home for Life documentation to keep at home – this shows that your pets should be handed over to Home for Life if you pass away. Home for Life recommend that you have a temporary carer on standby who is able to care for your pets immediately following your death until a place can be found for them in a suitable animal care centre. If you have a cat that you’re worried about leaving behind then you might want to consider the Cat’s Protection League’s Guardian Service. As with the RSPCA’s Home for Life above, you can register your cat(s) for free. If you were to pass away, the Guardian Service would be notified and step into action, arranging to bring your cat(s) into the care of one of their nearby branches or adoption centres. They will then try to place your cat in a home that meets their personality and needs, and they promise that they will never put a healthy cat to sleep. The Dog’s Trust Canine Care Card works in much the same way as the services above. Once you register one or more dogs with the Dog’s Trust, you’ll be given a card to carry in your purse or wallet – this works a lot like a donor card, alerting anyone going through your personal effects - in the event of an accident, for example - that you have dogs at home that need to be cared for. It also informs people that you wish your pets to be rehomed by the Dog’s Trust. The charity says that you should mention that you want the Dog’s Trust to care for and rehome your dogs in your Will to confirm your wishes. The Blue Cross will rehome up to four animals per household following the death of the owner if they have been registered with the scheme in advance. Animals of all shapes, sizes and species can be looked after through this scheme. You would need to complete one application per pet and acceptance on to the scheme is considered on a case by case basis, taking into account any medical or behavioural issues and the chances of rehoming. Dogs, cats, horses and donkeys must be chipped and registered to your current name and address to qualify for rehoming. As with the other schemes we’ve mentioned in this article, Pets into Care is free of charge but the Blue Cross welcomes donations and gifts in the Wills of its supporters. The Cinnamon Trust is a wonderful organisation that offers lifelong care for pets whose humans have died, gone into long-term care or are terminally ill and no longer able to look after them at home. It’s also worth knowing that the Cinnamon Trust can help to find dog walkers if you’re incapacitated or place your pets with a foster carer if you need to go into hospital for a while. Volunteers may also be available to clean out and handle smaller pets. 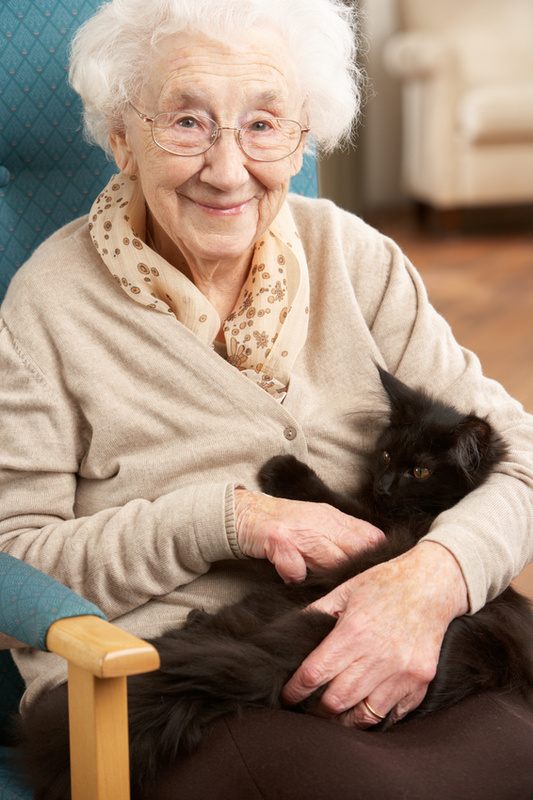 If you have to go into long-term care, the Cinnamon Trust will keep you in touch with your pets with visits, where possible, or photos and letters about how your beloved companion is doing in their new home. If you were to pass away, the Cinnamon Trust promises to care for your pets for the rest of their natural lives. The organisation is particularly special because it will often try to pair bereaved owners with bereaved pets so that they can give each other comfort during their time of loss.